When the Federal Communications Commission (FCC) issued a ruling that would have cost local governments nationwide over $75 million in annual cable franchise fees, Tim Lay represented them, appealing the FCC’s decision and successfully persuading the court to overturn it. And when local governments needed to secure authority to tax wireless services, they again turned to Tim. He helped negotiate an agreement among wireless industry and state and local government representatives that led directly to the federal Mobile Telecommunications Sourcing Act of 2000, providing the desired taxing mechanism. Tim’s skill in handling such complex telecommunications issues and his devotion to fighting for the underdog has advanced him to the forefront of his profession, frequently representing scores of local governments and their associations nationwide before Congress, the FCC and the courts. Substantial experience in litigation and counseling on communications, antitrust, tax, land use, utility and constitutional law matters before administrative agencies, federal courts and international tribunals. For the past 20 years, his practice has been devoted primarily to communications matters, representing clients on telecommunications, broadband, cable television and broadcasting matters before Congress, the FCC, the U.S. Department of Justice and federal courts. Tim co-authored the National League of Cities’ handbook The Telecommunications Act of 1996: What It Means to Local Governments, as well as a similar handbook for the American Planning Association, the National Association of Counties and the American Public Works Association, entitled Implementing the New Telecommunications Law — A County and Local Officials Guide to the Telecommunications Act of 1996. He has been a faculty member at the Practising Law Institute’s annual seminars on cable television. 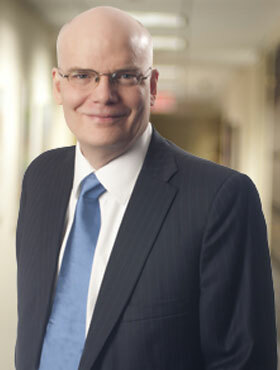 Tim has published articles on the Telecommunications Act of 1996, on the effect of telecommunications convergence on federalism, on the role of local governments in telecommunications policy and investment, and on antitrust and regulatory issues relating to telecommunications common carriers and information service providers. Tim has been recognized as an AV Preeminent-Top Rated Lawyer® by ALM Media. He advised the City of Eugene, Oregon, in drafting and successfully defending in court a telecommunications ordinance that has generated substantial new revenue for the city to help fund its telecommunications projects. Tim represented the National League of Cities in negotiations with the telecommunications industry in drafting what became the Mobile Telecommunications Sourcing Act of 2000, 4 U.S.C. §§ 116 et seq. The Act provides a constitutional and uniform means for state and local governments to impose taxes on wireless telecommunications services and providers. On behalf of the National League of Cities, Tim was a major participant in lobbying efforts for several municipal clients during the 1992 Cable Act and the Telecommunications Act of 1996.